Every business starts with an idea, but to be successful you need more than just a good idea. Getting kids to connect to, and to see value in their ideas also is a key ingredient in teaching STEM, and one of the biggest challenges. Learn more about our Seattle-Area challenge running Spring 2018. Contact us for more information or to register your class. This is why CreositySpace created the Book of Ideas. Similar to a real inventor’s notebook, the Book of Ideas was designed to encourage kids to write down or draw their own ideas and inventions. The Cool Kid IP Challenge is the next step in familiarizing kids with the engineering design process and taking a concept from idea to a product or business. how to protect what makes their solution unique.. 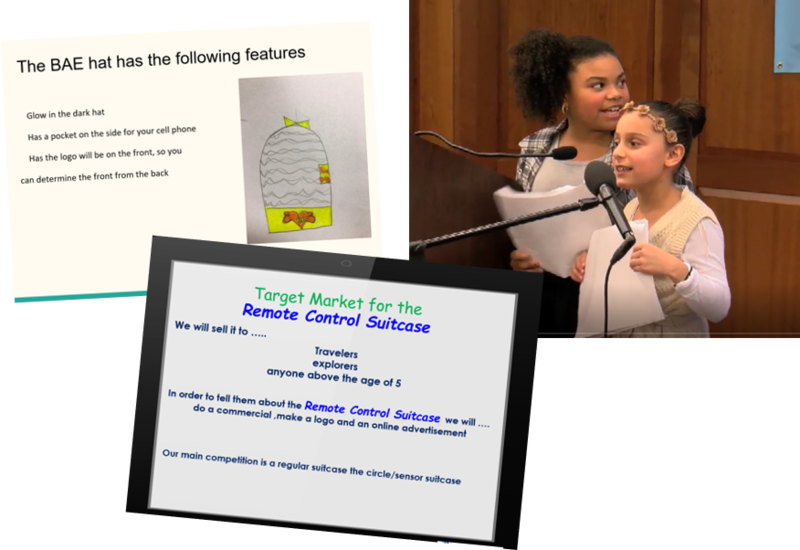 The six core lesson topics highlighting the Engineering Design Process actively incorporate key elements of the Common Core and Next Generation Science Standards, culminating in a Live Pitch event. Watch the video from our Albany, New York Challenge.